Marketers regularly set high standards for their content regarding statistics. They endeavor to write 10 blog posts a month, shoot weekly videos, record monthly podcasts, etc., and then breathe sighs of relief when they hit their goals. But they never realize they’re prioritizing the wrong aspect of content creation. Consistent, high-quality content values far more than simply churning out pieces to meet scheduled output figures but lack real engagement or lead generation. Think of it as having a tinkling, big piggy bank — sure, it weighs a lot, but what’s it worth, exactly? Think of providing better instead of bigger. Valuable content — whether it’s new, relevant, informative, or disruptive — comes from meticulous planning and intellectual minds. The 500-word blog posts and 30-page e-books of the world all come down to one simple thing: being straightforward and informative to the target persona. Data can help you big time, so use it in an extensive inventory of your content. By ascertaining which pieces will succeed and which not, you can improve your acumen into how you should be going about it. Not sure which metrics to follow? Action and interaction are useful short-term measures, rather than crude views; at first, though, use trial and error to pinpoint which ones matter most. Leverage your product, client success, sales communities, and other team members to help in generating a wealth of content and information. You can conduct polls and interviews, ask for honest contributions, or shoot thought-provoking videos, then use them to promote new business and compose other content pieces. We use our blog section as an informative tool to provide value to the readers as well as extend our reach. The select pieces on the site strive to enlighten you by using reliable and high-level content to provide new ways for you to interact with the company. When creating key pieces of content, mainly focus on research, data, and creative aspects rather than deadlines. Instead of hurrying to post a written article, focus on creating something substantial that cuts through the ordinary and reach your prospects. As marketers, we should know when to slow down when content starts to become a dumping spot rather than a rich, productive source of information. This means observing metrics to know which quality pieces are working and which should be deferred. Constant evaluation generates a content formula that’s resilient, agile, and puts the reader first. 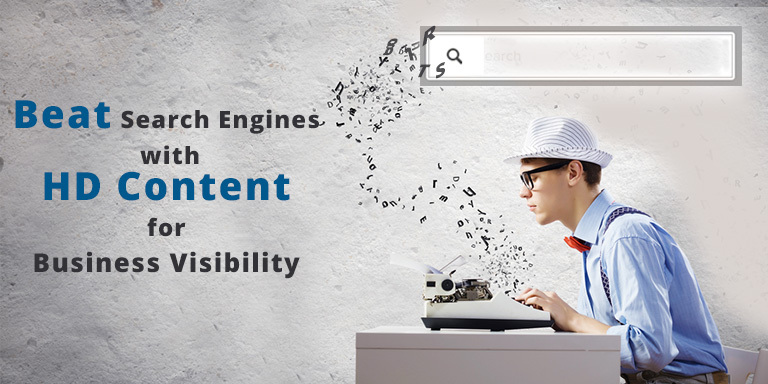 If your content quality, its effectiveness start falling below previous standards, look externally. We supplement our internal roster of writers, and editors with outside subscribers to help us stay on top of content creation without falling below quality levels. Invest in exceptional content gathered from third-party sources. Asking for professional help, can potentially multiply your output without missing a beat and help you in places that might need a professional touch. You’re only as good as your poorest piece of content, so make sure that everything with your brand is devised with excellence in mind. The next time you think of throwing together a keyword-heavy, yet dull, blog post, try this — don’t.